Time Frame 15 min, but this tradig system works all time frame. 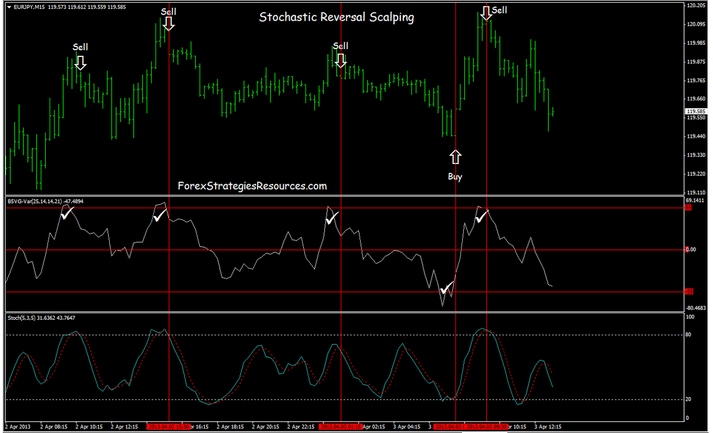 Stochastic (5,3,5,);(overbought 80 – oversold 20). BSVG-var (25,14,14,21) (overbought 55 , oversold -55). When BSVG-var it crosses the -55 line from above, it is a bearish signal and wait that stochastic crosses upward. When BSVG-var it crosses the 55 line from below, it is a bullish signal and wait that stochastic crosses downward. Putting stop loss above recent swing high or swing low. So for long trades please place stop loss 5 pips below the lowest low of last 4 bars, and for short trades please place stop loss 5 pips above the highest high of last 4 bars. Profit Target 8-15 pips or on the pivot levels o supports and resisteances. 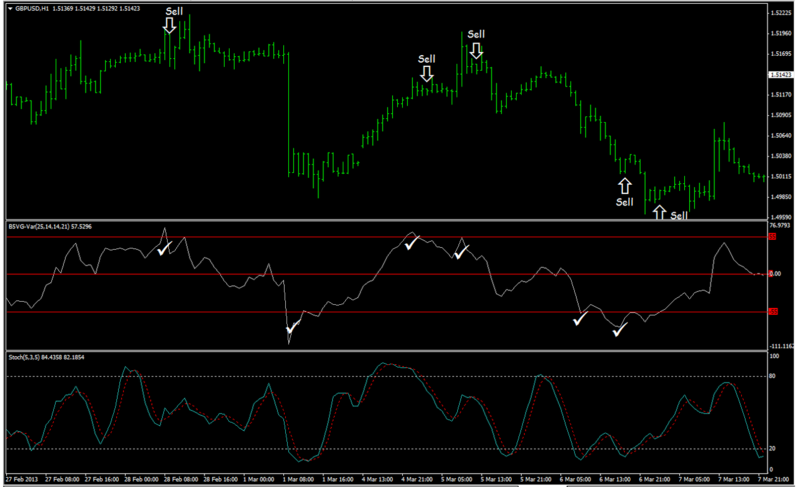 In the pictures above Market pulse filter for rsi scalping in action. Hidden things, these are the most interesting. your website is one of the best to get trading ideas; great! 1. I should use the RSI 8,5,3 but on the picture is used the RSI 5,3,5. What´s correctly? 2. Usually you can found about every indicator a lot of information on many websites. But not about the BSVG-var. Where I can read something about this indicator?